You are invited to a screening of The Man Who Saw Too Much, a film about fragility; about a man obsessed with photographing the accident who discovered that the fate of others was his way of connecting to life. What is it about these photographs? When the image of the accident becomes the object of desire? Through the footsteps of Metinides and the work of the contemporary tabloid photographers, we discover Mexico City through a narrative of crime scenes and accidents, while we are confronted by our own fascination with death, morbidity, rubbernecking through Metinides’ gaze. 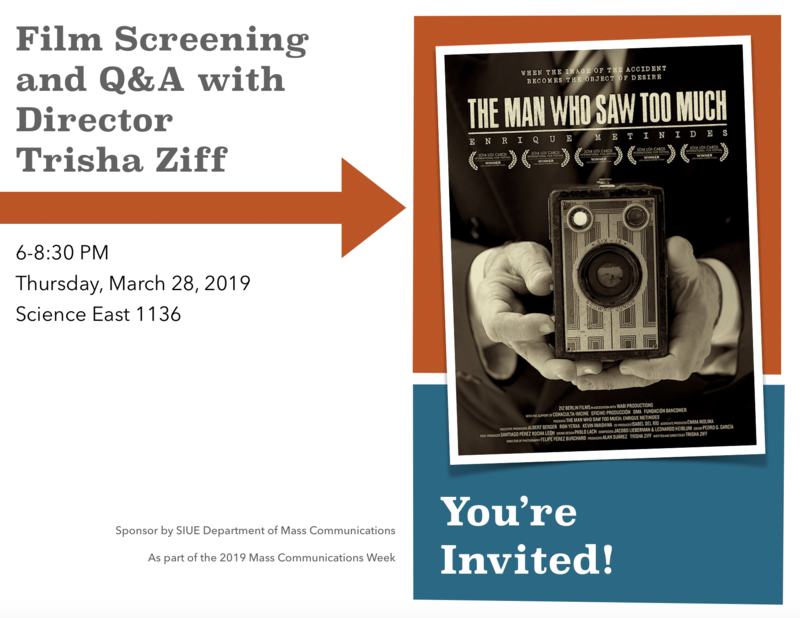 The screening is hosted by the SIUE Department of Mass Communications as part of the 2019 Mass Communications Week.